The New England Patriots beat the Atlanta Falcons Sunday, Feb. 5 in Super Bowl LI. At the end of the first half, Atlanta was up 21-3. Early in the third quarter, they would widen that margin, making the score 28-3. But the tide turned quickly, and New England scored 25 unanswered points, sending the game into overtime for the first time in Super Bowl history. The Patriots then scored the winning touchdown, completing the biggest comeback victory in Super Bowl history. Looking at the stats, there’s no question as to how the Patriots won. They had over twice as many first downs as Atlanta, almost double the yards, and 17 more minutes of possession. The only thing the two teams were even close on was rushing yards and turnovers; both with 104 yards and the Patriots with one more turnover. That makes turnovers the only statistic in which the Falcons beat the Patriots, not counting penalties (which aren’t necessarily good thing). 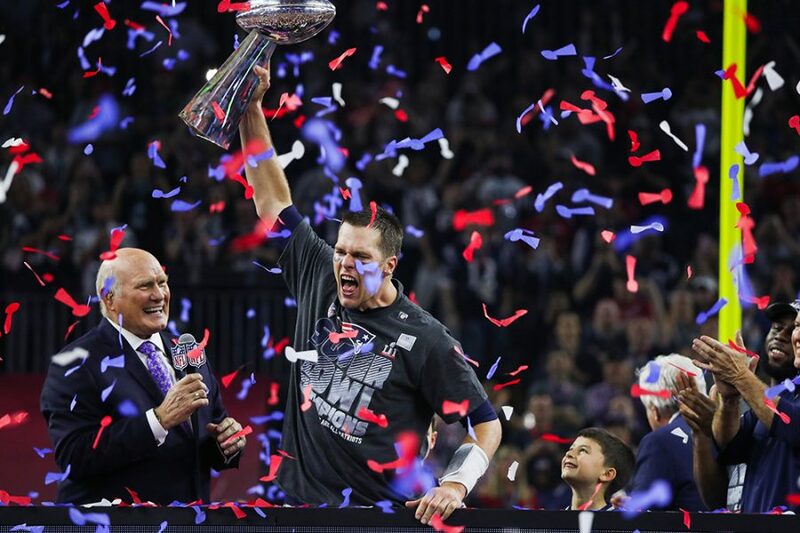 Tom Brady earned his fifth Super Bowl ring, setting yet another Super Bowl record. A total of 23 Super Bowl records were broken that night, making it an unprecedented game. The Patriots had 200 more passing yards than the Falcons. 75 percent of the Atlanta Falcons’ points were scored in the first half. After halftime, their progress grinded to a halt, allowing the Patriots to make quite the comeback. While the Patriots’ comeback was unprecedented, it’s really no surprise they won, seeing as they beat the Falcons in nearly every stat and were projected to win anyways.